Huge variety of self catering holiday properties across North Devon and Exmoor, along the unspoilt National Trust coastline, including: Character cottages by the sea, luxury self catering accommodation a short walk from the beach, historic houses with extensive gardens, 17th Century farmhouses with panoramic countryside views, apartments with sea views overlooking the harbour, holiday lodges in golf and leisure parcs with swimming pool, working farm barn conversions with cosy open fires, high quality caravans on holiday parks with entertainment, properties with cycling, riding and fishing available, adjacent to the Tarka Trail, holiday cottages swimming pool etc. Pets accepted and short breaks welcome in most properties. Purpose built accommodation for the disabled also available. Bargain breaks for 2 from less than £95 to a luxury Exmoor manor for 16 from £75 per person per week. …and comfortably the best value"
"STOP PRESS " 'Stop Press. For details on late and last minute availability and special offers throughout the year, please phone us tel: (01271) 818150 . Short Spring Breaks. Don't forget to mention Beautiful Devon on enquiring! Our North Devon Holiday Homes Guide was first published in 1981 to promote goodwill and an easy, reliable booking service for self-catering holidays throughout the area. About our cottages and homes. Each property has been personally inspected by one of our area supervisors, is honestly described without bias from the owner and must conform (at the very least) to the standards laid down by the English Tourism Council. Luxury Holiday Cottages Where furnishings and facilities are comparatively modest this will be reflected in especially economical pricing - whilst many higher graded properties may offer home comforts unequalled by 'luxury' hotels. A common factor with every property is our conviction that it offers excellent relative value - having given due regard to considerations of size, location, furnishings, equipment and facilities. About Us. The company was founded with the aim to provide holidaymakers with the most comprehensive choice of properties from which to enjoy the splendour of our area, with an efficient, but very friendly, helpful and honest service. 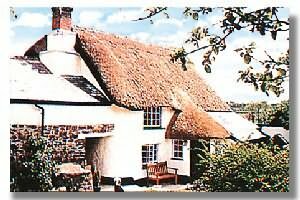 To this end, we have stood by our principles and now boast the best choice of cottages in Devon. Whilst making every effort to keep up with the fast changing world of business commerce (with our site being a clear indication) our commitment to the same level of personal attention remains unchanged. Whilst we appreciate that e-commerce now plays a significant part in the holiday market we have tried to keep this avenue as user friendly as possible with continuous invitations to contact our representatives directly. If you should feel the need or desire to call us you will find no ‘telephone robot’ voicemail, no annoying holding music and no call centre staff - just a friendly human being waiting to be of assistance, be it a simple brochure request or a detailed enquiry about the area, a property or a booking. "Self catering holiday homes in North Devon"
For further details please don't hesitate to contact us or visit our web-site via the link below. Created 3rd May 2004. Revised: June. 2010.